Maintaining your BMW is of the utmost importance especially if you plan on keeping the car for several years. While BMW has engineered some of the best engines in the history of the automobile, it doesn’t mean that they don’t have their own special quirks. Again, the goal is to stay ahead of maintaining your BMW to give you the best ownership experience that we can. A well maintained car is typically less expensive than an unmaintained car in the long run. For replacement parts, we only use the best – typically Genuine BMW or OEM Manufacturers. We tend to be quite particular about the aftermarket parts we install on customer’s vehicles. There are far too many poorly engineered “upgrades” available that often times adversely affect the driving experience. We have the experience to steer customers in the right direction when it comes to choosing how to modify their vehicles. And sometimes when NOT to modify their vehicles! Years of experience and building relationships with manufacturers has put us is the position to take on projects that most shops would turn away. Engine swaps, manual transmission conversions, full-on track car builds – we can do it all. That being said, no job is too small for us. We take great pride in servicing and maintaining all BMWs. From changing the oil in the daily driver 328xi to the last minute brake flush and tech inspection for this weekend’s track day. We use nothing but the best when it comes to engine oil and oil filters. For most vehicles, we use Liqui Moly Leichtlauf 5W-40 or Liqui Moly Race Tech 10W-60, depending on BMW’s original specification. We also use Motul and Redline oils in different viscosities for certain track or race applications. We use only OEM Mann, Mahle, or Hengst filters or Genuine BMW oil filters. Your vehicle’s service reminder, as well as your BMW dealer, have probably told you that you can go as far as 20,000 miles between oil changes. We feel that is far too long to run for any engine. For most street-driven vehicles we recommend changing the engine oil and filter every 6,000 miles or 12 months. If you really want to know how you engine oil is performing, we can send a used oil sample to Blackstone Laboratories, who will send us a report detailing the oil condition, as well as any contaminants found in the sample that may point to any issues. BMWs, especially M cars or those with modified suspensions, are extremely sensitive to wheel and tire balance. In addition to a smooth ride, a good balance will help your tires wear evenly without “cupping”. Of course, wheel alignment is also critical to even tire wear – we have the equipment and knowledge to get your car dialed-in. At Turner Service we recommend balancing your tires every 6,000-7,000 miles. If your BMW has the same size wheels and tires on all 4 corners (normally referred to as “square”), we’d recommend rotating the tires at the same time. If your BMW comes with different size front and rear tires (normally referred to as “staggered”), you will be unable to rotate the wheels front to back, but balancing and wheel alignment becomes even more important in preventing uneven wear and/or vibrations. After years of testing different wheel and tire combinations on all BMW’s we have a good idea of what works and what doesn’t. Bigger isn’t always better, and lighter isn’t all that matters with a race wheel. 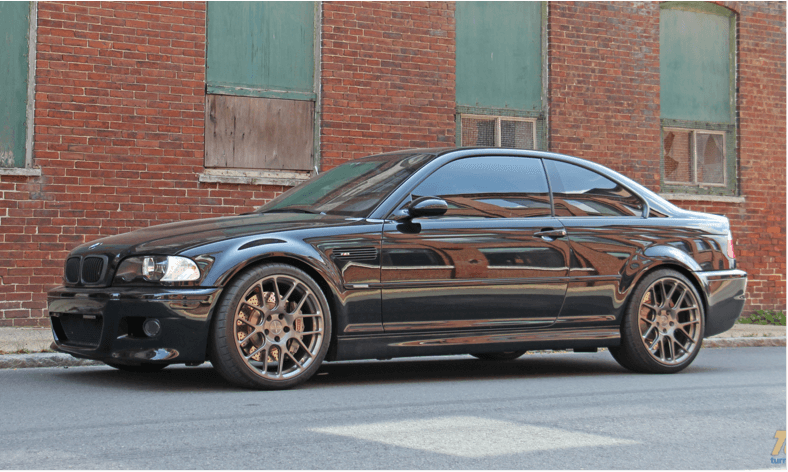 How is upgrading from a 17” wheel to a 19” wheel going to effect the handling of your BMW? From expensive custom wheels with ultra-low profile performance tires, to super stiff R-compound and run flat tires, we can handle wheel and tire combinations that your local tire shop will not touch, and without damaging them! At Turner Service we use state of the art equipment including our Hunter Hawk-Eye alignment rack. Keeping your BMW aligned is incredibly important in preventing premature tire wear and costly tire replacement bills. Even if your BMW isn’t “pulling” to the left or the right, it doesn’t mean that your car is aligned properly. 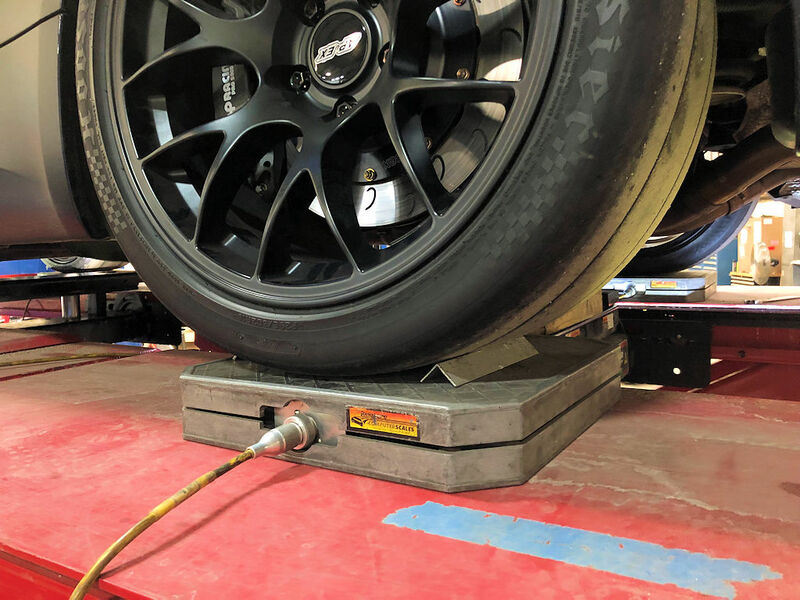 There are multiple adjustments (camber, caster, and toe) that can be made during a 4 wheel alignment that help provide you with the ultimate driving experience for your ultimate driving machine, as well as get the best wear for your tires. Each BMW comes from the factory with different amounts of adjustment (some of the newer cars don’t have a factory camber adjustment). If any of these adjustments are out of BMW spec, it could make your car drive funny, wear the inside edge of your tire(s), wear the outside edge of your tire(s), make the vehicle pull to the left or the right, make the car uneasy at high speeds, make the car hard to turn, prematurely wear some (or all) of your tires, and many other things. At Turner Service we recommend getting at least 1 alignment every 10,000 miles or 12 months. If you have a track driven vehicle or a race car, you might do as many as 3-4 alignments during the “season” for a variety of reasons. Ultimately, it’s important to maintain your BMW’s tire maintenance, especially in New England given the HUGE potholes that we have! Some people are more familiar with what BMW might refer to as “Inspection 1” and “Inspection 2” services. At your local BMW dealer you may have a service advisor recommend certain services at particular mileage intervals. He/She may refer to these as Inspection 1 or Inspection 2. What these “Inspection” services typically include are things like changing the engine oil and filter, replacing your BMW’s cabin air filter, replacing the engine air filter, replacing the fuel filter, replacing the transmission fluid and differential fluids, replacing the brake fluid, flushing the coolant, and replacing the engines spark plugs. At Turner Service, we’re happy to continue the kind of service that you are accustomed to or if you’re not happy with the service that your dealer has provided, we can talk about what would work best for you and your BMW. Sometimes, it might be easier to have more of an “a la carte” maintenance schedule. This means we can advise you, based on your vehicle's service history and your driving habits, what items (filters, fluids, spark plugs, etc) should be replaced, and at what time. Dealerships are more apt to advise of a service based on their wants and needs, not necessarily your vehicles wants and needs. If you have any questions regarding what you need for your BMW, give us a call and we'll be happy to talk it over with you. BMW introduced the twin turbocharged N54 direct injection engine in 2007. The N54 engine was later followed by the single turbo N55 direct injection engine and the single turbo 4 cylinder N20 direct injection engine. All of these engines have been staples in the BMW model line-up and have some of the best technology engineered in automobile engines. 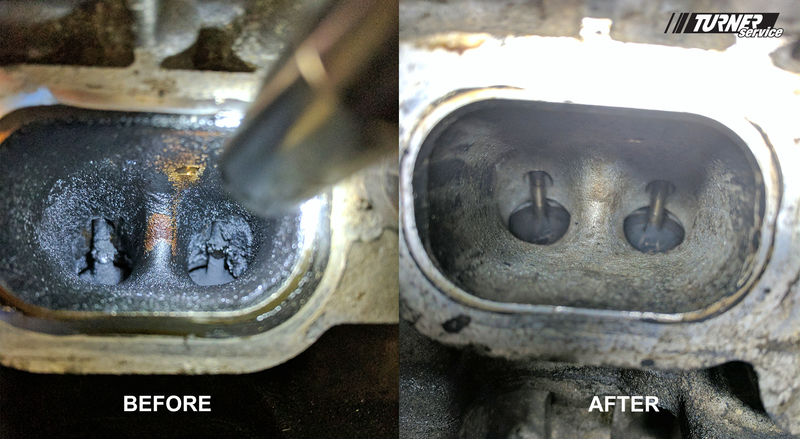 One of the downfalls of direct injection, though, is that the intake ports typically see a fair amount of carbon build up. This carbon build up prevents the engine from breathing to its full potential costing the owner performance, fuel economy, idling issues, potential check engine lights, and more. In order to safely decontaminate the carbon, at Turner Service, we remove the intake manifold, and the intake tract of the cylinder head is cleaned. This is typically done with a cleaning solvent and brush to remove the larger carbon particles and then we use a special tool that blasts walnut shells against the intake valves. Once this process is completed, owners typically notice an immediate improvement in how the car starts, idles, and drives. A good before and after photo (see below) will show you the severity of carbon build up on a vehicle with a little more than 60,000 miles. So, if your direct injection engine BMW doesn’t feel “like it used to” or feels a little sluggish, there is a good likelihood that the car isn’t operating at its full potential due to carbon build up. At Turner Service we recommend performing this service every 40,000-50,000 miles. As with most preventative maintenance items though, this will depend on how the car is used as well as if the car has any performance upgrades (cold air intake, performance software, oil catch can, etc). If you’re at all familiar with older cars then you understand what’s involved with adjusting valves. Some might question the importance of adjusting them, though. "Why do they need adjustment? If my motor isn’t “ticking” or noisy, then it must be fine, right?" Not necessarily. Noise isn’t the only sign that your valves need adjustment. It’s certainly ONE sign, but not the tell all. The importance of adjusting valves is that you want a motor that is running efficiently, providing you with the most performance, and best fuel economy that your engine was designed for (or maybe more). When valves are out of their spec, neither of these are possible due to valves either being opened too much or not enough. This can also cause the edge of the valves to burn which means they are not sealing properly and can ultimately lead to replacement of a valve(s). These are the BMW recommended service intervals. Cars that see track use should be checked more often, taking into consideration the number of hours of track time. With high horsepower typically comes high maintenance. With the E46 M3, Z3 M Roaster, Z3 M Coupe, E90 M3, E60 M5, and E63 M6, this usually means customers are replacing parts that you might not replace on the non-M variant. 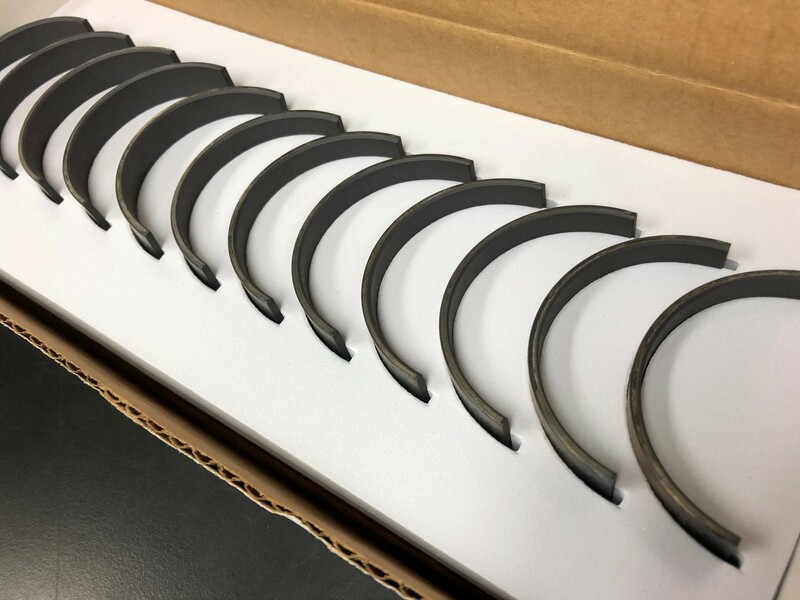 One of the common parts that are replaced on the above mentioned M models that typically don’t need to be replaced on the non-M models are connecting rod bearings. When BMW designed and engineered these engines (S54, S65 and S85), the oil clearances on the connecting rod bearings were too tight, meaning there was not enough lubrication between the crankshaft and bearing, creating more heat and premature wear. So, what’s “the fix”? 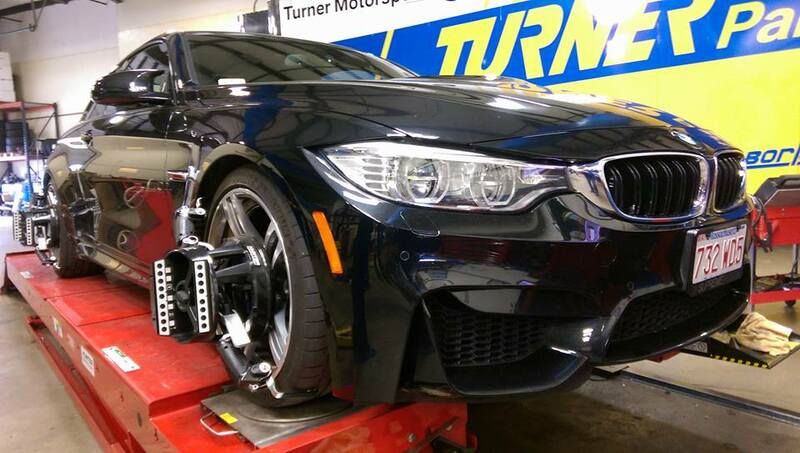 At Turner Service, we’ve found that replacing the stock OE BMW rod bearings with a better bearing should give customers added protection in these specific M engines. For the S54 engine found in the E46 M3, Z3/Z4 M Roadster, and Z3/Z4 M Coupe, we replace the standard OE BMW bearings with a WPC treated bearing. These bearings are shot-peened which adds clearance allowing for more oil flow between the crank and bearing. For the S65 engine found in the E90 M3, and the S85 found in the E60 M5/E63 M6, we use a BE Bearing. BE Bearings are a bearing manufacturer that redesigned the factory BMW bearing. They allow for more oil clearance and use a traditional lead-copper design which wears less on crankshaft journals as well as the bearing material being traceable through oil analysis. Both the WPC treated bearings and the BE Bearings were designed for use with the 10w60 oil that BMW recommends as well. "When should I consider replacing the rod bearings on my car?" At Turner Service, we recommend replacing the rod bearings around 60,000 miles. Like many other items, this is heavily dependent on how the car is driven. If your car is used on track, we recommend replacing the bearings in as few as 30,000-40,000 miles... or maybe even less. Contact us with any questions and/or concerns. The E46 rear driveline and suspension are very similar to that of the E36. An unfortunate side effect of this is that the E46 also shares some of the same problems as the E36. One of these problems is the rear mounting points for the subframe, which can rip out from their spots in the sheet metal. This happens because the rear differential transmits the torsional load from the engine through the subframe, then into the chassis. This constant loading and unloading weakens the sheet metal and causes it to fatigue and separate from the chassis. BMW tried to fix this problem in the E46 by placing a cross member on the front two mounting points of the subframe. This cross member keeps the front mounting points from having problems by placing the bushing and the stud in double-sheer, thus reducing the twisting action on the sheet metal. The unfortunate side effect of this is that the load from the front of the subframe now gets transmitted to the left rear of the subframe. This is where we have seen many failures of the chassis on low mileage street cars and race cars. BMW has also tried to prevent the issue by injecting foam into the open space between the underside of the chassis and the top of the trunk. This seems to work, but it does not address the issues of the spot welds failing on the sheetmetal. It can also make any additional work there harder and almost impossible to weld against. At Turner Service, we developed a reinforcement kit in the early 2000’s as our race team was campaigning the E46 chassis in World Challenge. The reinforcement kit contains 8 thick pieces of steel that are welded to the rear subframe mounting points. These additional pieces of steel help spread the force mentioned above over a greater surface area of thicker “floor” material. Once installed, we’ve seen chassis’ last over 100,000 miles of track abuse. If you’re concerned about the condition of your rear floor, give us a call and schedule a time to have our BMW techs check it out. A car's suspension, among other things, is what links the driver to the road. BMW is known for designing vehicles that mix superior comfort with dynamic stability, providing customers with “The Ultimate Driving Experience”. At Turner Service, we have all the necessary tools, skills, and parts to help keep your BMW driving like the day it was new... or better. From manufacturers such as Bilstein, H&R, KW/ST, Motion Control, Sachs, Meyle, Lemforder, and more, we can install the best parts based on our experience as well as from our customers' feedback. Whether your car is a daily driven 3 series, 5 series, 7 series, etc., or a track prepared BMW, we’ll have an idea of what it is that you’re looking for and the right parts to give you what you need. For daily driven street cars, we typically recommend OEM replacement parts. These parts typically provide the least NVH (noise, vibration, harshness) while maintaining that German quality that BMW is known for. While some customers are looking for a little more performance from their street car, we can certainly install components other than the OEM parts, but for the majority of the street cars that we work on, this would be our recommendation. For street cars that see occasional track use, we may recommend some stiffer suspension parts which help stabilize the car on track better as well as provide more feedback to the driver. The items may be stiffer dampers, lowering springs, stiffer durometer bushings or solid bushings, larger anti roll bars, or coilovers. Again, these items will help provide the driver with more feedback and less suspension deflection. While installing stiffer components might lead to more NVH, the trade-off for these customers will be well worth it. For pure track only/race cars, we will recommend solid components and the best suspension parts available for the chassis. While this depends on the class that the customer is building the car for, there are a lot of different options that we have. From solid drivetrain mounts, multi- way adjustable coilovers, adjustable sway bars and links, to solid bushings and adjustable control arms. When it comes to building a track car, customers typically aren’t concerned with NVH and are trying to find every tenth of a second at their favorite track. No matter what you’re looking for, give us a call or shoot us an email and we’ll help find the right set up for you! Whether you’re using your BMW on the street as a daily driver or weekend ride, or you’re setting the car up for the track, corner balancing your BMW can drastically change how the car responds to the driver's input. As many people have probably heard, manufacturers go to extraordinary efforts to give their “sports cars” a 50/50 weight distribution. Why? Well, a car that is well balanced from front to back will handle better than the car that is extremely nose heavy or tail heavy. BMW has been a manufacturer that has taken balance (from the factory) to heart, making sure they provide customers with “the ultimate driving machine”. At Turner Service, we have the tools and knowledge to take vehicle balance to the next level with corner balancing the car. The only item that is needed prior to having the car corner balanced is a decent set of ride height adjustable coilovers. 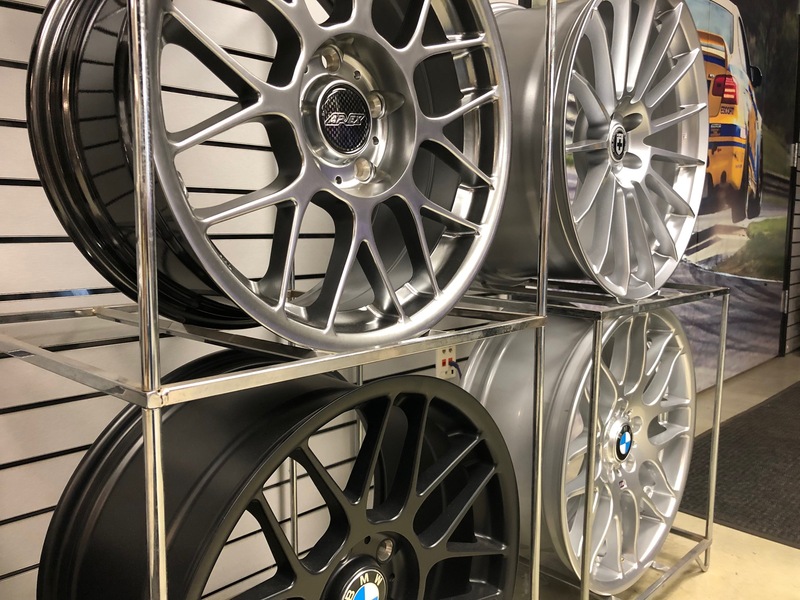 Our factory trained BMW technicians will dial in the customer's preferred ride height, lower it down onto our scales and then using the coilovers ride height adjustment, will balance the cross weight of the vehicle to the ideal 50% balance. This is a somewhat tedious process as every little turn on the coilovers adjustment collars will change the amount of weight that gets transferred to different corners of the vehicle, hence, "corner balancing:" the car. In the end, you’ll drive away with a vehicle that is probably balanced beyond the ideal manufacturer's 50/50 weight distribution. Again, for those who are driving their BMW on the street, it will provide a more balanced chassis and for those that are driving their BMW on the race track, it will provide a more predictable/well balanced car. We recommend a pre-purchase inspection for every used car. With a small investment you can be confident that the car you are buying is going to live up to expectations and provide you with years of enjoyment. The E46 M3 is arguably the best vehicle BMW ever made for track use. Prices can vary wildly, from $10,000 to over $40,000. Given their potential expensive issues, we consider a thorough pre-purchase inspection absolutely critical. This includes a full visual inspection of the vehicle for worn components, fluid leaks and damage. We also closely inspect the rear floor for any signs of cracking or spot-weld failure. 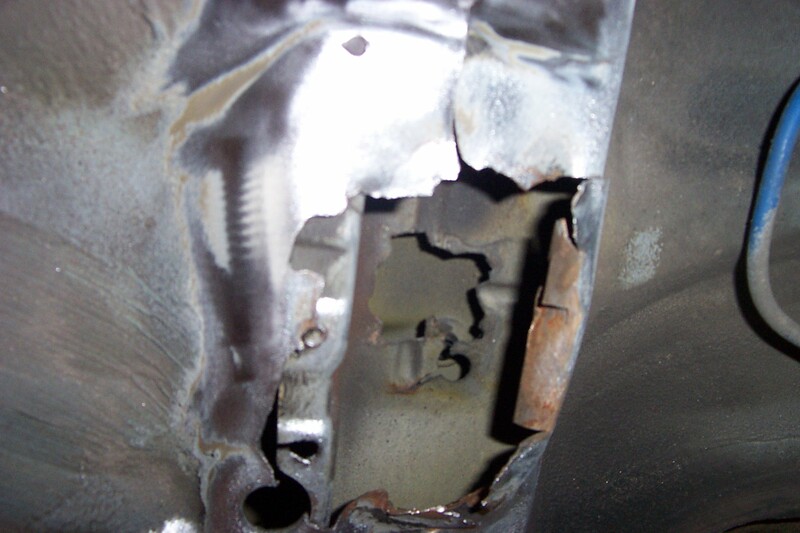 We recommend a weld-in subframe reinforcement for all cars as failure is inevitable due to the weak design. 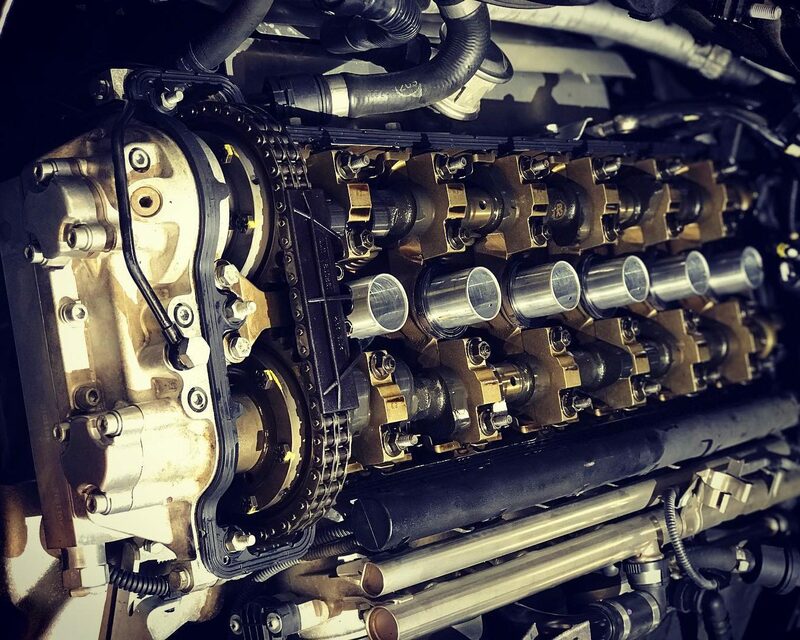 We will perform a VANOS test using our factory diagnostic equipment and then remove the valve cover and perform a visual inspection of all of the components. With the engine opened up we can also evaluate the engine’s maintenance history (or lack thereof). 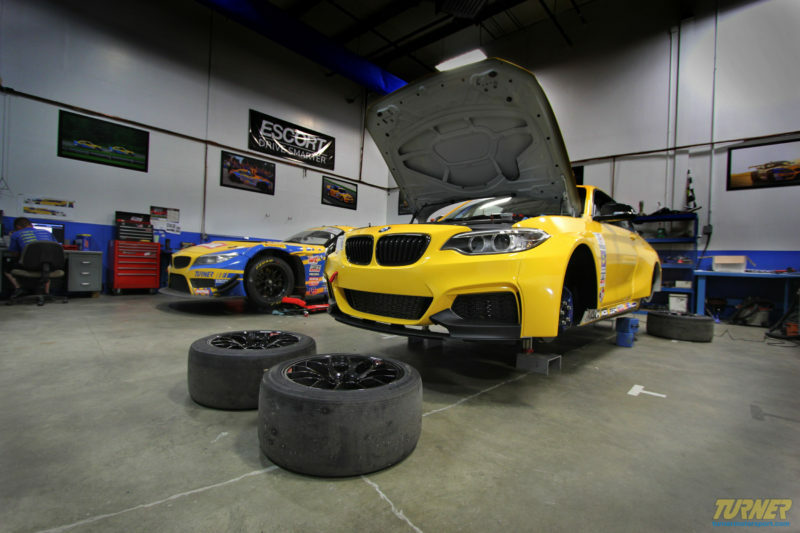 If you’ve heard the name Turner Motorsport before, then you’re likely familiar with what we do. Will Turner started Turner Motorsport back in 1993 out of the trunk of his E30... selling brake pads at the race track, so he could continue to pursue his dream of driving on a race track. Fast forward to 2019, and that dream has been more than realized with over 375 professional races and 7 championships. 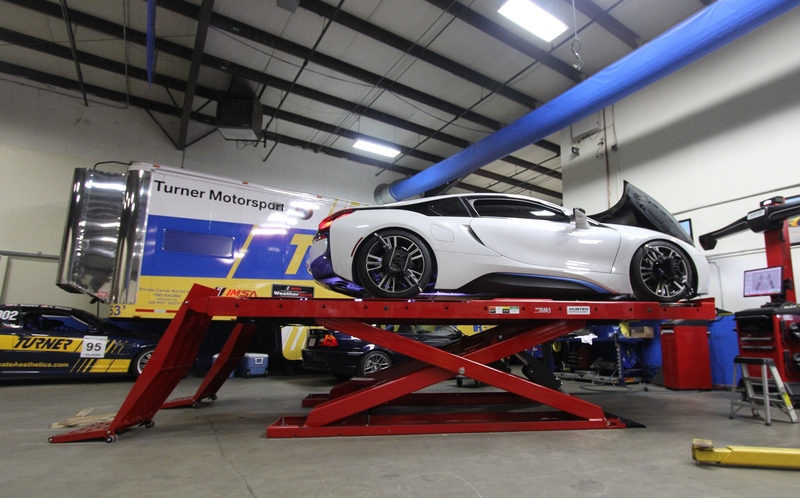 What this adds up to is that the expert technicians at Turner Service have the skills, knowledge, and experience to help you with your BMW. Whether this is a car that is raced at the amateur level, professional level, or a car that is used for BMWCCA driver schools (or similar), we have the ability to make that car the best it can be. From building roll bars and roll cages, performing engine swaps, installing custom suspensions, installing race seats and harnesses, installing aero components, installing fire suppression systems, corner balancing, custom alignments, and more, our technicians are up for the challenge. At Turner Service, you can bring your car to us as a bone stock car looking to be built to a full-on track machine, or you can bring your already full-on track machine to us for routine service/check-ups. You can find our service manager, shop foreman, and other employees at the track throughout the summer months. You’ll also find numerous Turner Service maintained race/track cars throughout the country. Like everything Will Turner has done in the past, he demands perfection of our team, meaning you can be sure that no corners are cut and we’re treating your car like it’s one of ours. 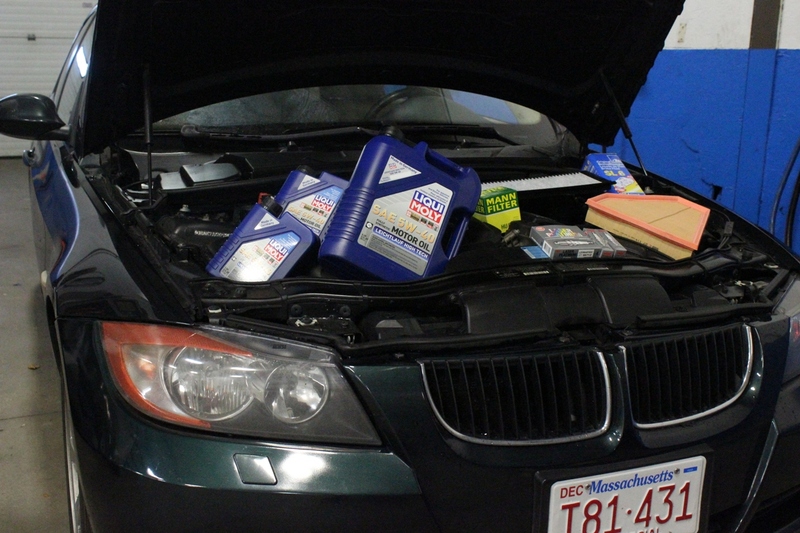 The standard inspection is free for all BMW of Boston CCA members and is a basic visual inspection closely following the tech inspection checklist. We recommend this one for newer, unmodified cars that may be going to their first track event. The second, more thorough inspection we offer is better suited to older and/or modified vehicles that see multiple events per year, as well as full-blown race cars. This service includes a full nut and bolt of chassis components, with the application of marking compound to help quickly visually inspect for loosening components. On E36 and E46 chassis vehicles (including Z4s) we lower and inspect the trailing arm pockets for fractures and excessive rust build up. Front lower control arms will be closely inspected for worn ball joints. Failures of these components on track can be catastrophic, so it is important they are inspected by someone with years of experience. E9x M3 vehicles, especially those using R-compound tires, should have their rear toe arm bolts replaced and upgraded on a regular basis. The single-shear design is inherently weak and can fail without warning under the extreme loads seen during track use. This inspection service includes a custom alignment to maximize performance for the usage of the vehicle, whether it is a trailered track car or a daily driver that is used for a few events per year. Turner has been servicing the Boston area BMW community since 1993, but it doesn’t stop there... Turner is known all over the world as one of the premier BMW experts. In fact, we get cars shipped to us from all over North America! 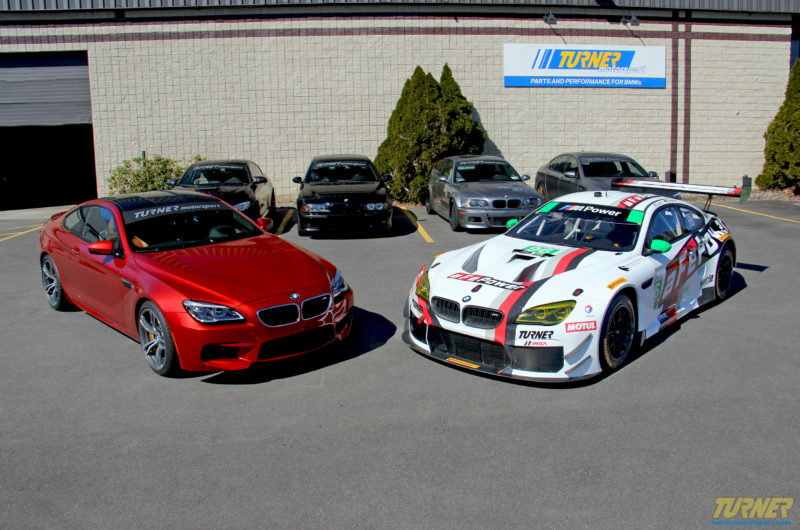 Turner has a long-standing relationship with local area BMW clubs and racing groups. We often host Quarterly meetings for the BMWCCA, and have good relationships with other organizations that focus on local area racing, as well as groups of BMW enthusiasts of all levels and skills. We eat, sleep and drink BMWs (well, just about). We have over 100 years of combined BMW experience which we use to service, repair, or add performance to your BMW correctly and efficiently! Just because we are experts does not mean we are expensive. Our huge parts purchasing volume allows us to be price competitive. We are typically at least 20% less expensive than your local dealership. We are your one-stop shop for all your BMW needs. 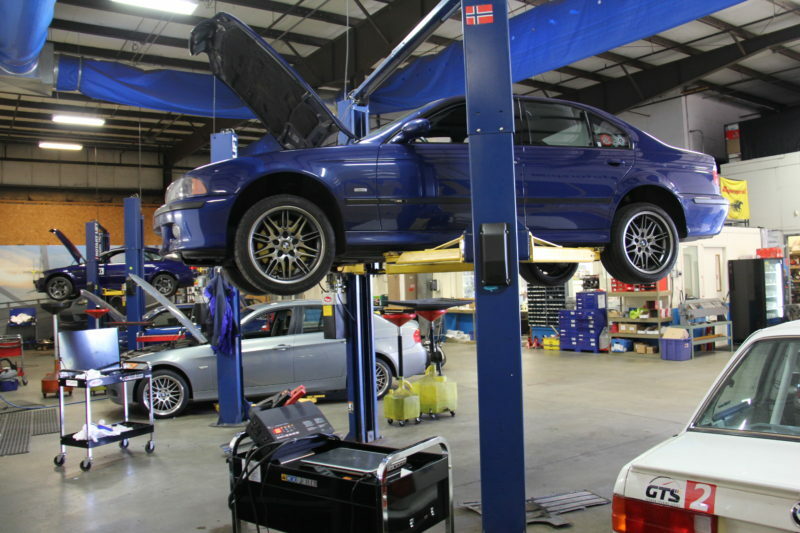 We work exclusively on BMWs, and can handle everything from simple oil changes to full racecar needs. We will treat your BMW like it is our own car. We have been racing BMWs professionally since 1998! And, our race team has won 7 major Championships! If we can do that, just imagine how efficiently we can service, repair, or add performance to YOUR BMW! Honest, thorough service. Great value for quality of work. Just the best when it comes to BMW’s. Can’t wait for my next upgrade on my M4! Every year we store our 01 E46 M3 with Turner. Every spring we pick her up, and every year the team there outdoes the previous year! Meaning: restoration work, tuning, creative mods, and most of all: attention to detail and a clear passion for customer sat. Thank you Ryan, and Team Turner Service!!! Another great job. BMW Performance black grill and splitter added to F30 335. (And maybe a little HP added…). Kudos to Rob Pellerin. Great customer service from top to bottom. Genuine Bimmer guys there who enjoy helping customers and talking about their rides. I’ll let you guys know what I dyno at when it’s all done! We need more professional, high quality technical people like you. Congratulations on your success! Have had Five star services and advice going back to 1997! As a first time BMW owner everyone at Turner has been amazing with helping me out and answering all my questions. Thanks guys!